While enabling a more gradual, and less intrusive migration, embarking upon a hybrid migration comes with challenges. Some will be obvious almost immediately and others may not show up until you’ve started down the migration path. Solid upfront planning and strong execution can ensure that a hybrid migration will be a smooth and relatively painless experience. Planning and Preparation - It goes without saying that any IT project requires good planning and plenty of preparation. Hybrid migration is no different. Here are steps to avoid migration roadblocks: Identify and outline ALL of the phases needed to complete the project. Cutting corners will come back to bite you, so pay close attention to each one and spend a good amount of time discussing details involved in each phase with your teams. Make sure your plan takes into account proxy server configurations, firewalls, load balancers, and 3rd party application integration and requirements. Factoring in these things early on will save you time later. Complete a detailed project plan that documents everything you’ve outlined. Include specifics related to each phase and be realistic about the amount of time it will take for each component. Build in time for change control processes, approvals, potential troubleshooting, testing, and unforeseen hiccups. Get stakeholders onboard early and obtain all the proper approvals and sign offs. Make sure executive management understands and supports your plan and agrees to the projected timeline. Capacity Planning – A hybrid migration strategy places a burden on hybrid migration servers. Accurately estimating capacity is key. A good estimate is about 30 mailboxes per hybrid server. Consider the deployment pace and its impact on the organization. Don’t migrate more mailboxes per phase than your Help Desk can handle. Example: You have 2,000 mailboxes to migrate and have configured two migration servers. Your capacity is 60 mailboxes per day. If possible, it’s recommended that you allow a day in between each migration. For example, plan cutovers for Monday, Wednesday and Friday mornings. Using that strategy, you would be migrating 180 mailboxes per week, which will take approximately 12 weeks to complete the entire migration. Add more servers or migration days and you’ll decrease the timeline. Also pay attention to any potential network bandwidth constraints. Migration Schedule – Build your migration schedule ahead of time. Consider scheduling by department starting with the IT organization. Ensure that you are grouping users that have “send as” permissions to shared mailboxes with their respective mailboxes. If a user is moved, but not the shared mailbox, they would lose their privileges to “send as” on that mailbox. Of course if they have full access to the mailbox, they could also send directly from within it, but our experience shows that users are not always set up that way and it can be a source of confusion. Skype Hybrid Migration – Often companies are using Lync On-Premises and want to migrate to Skype in the cloud. This is considered a separate but related migration project, and should be taken into account early on when planning a migration. Skype Hybrid can be set up if you want to slowly roll out Skype for Business in the cloud similar to your mailbox migrations. Communication – I can’t stress communication enough, not only with end users but also with your own migration team. Build a cadence that works with everyone during migration. Make sure you are keeping all those involved updated with status of mailboxes that are staged, completed, and any errors that are encountered during every migration event. Following these five tips should help you avoid some O365 migration headaches and delays. If you don’t have the time or resources to move forward alone, Daymark can help. 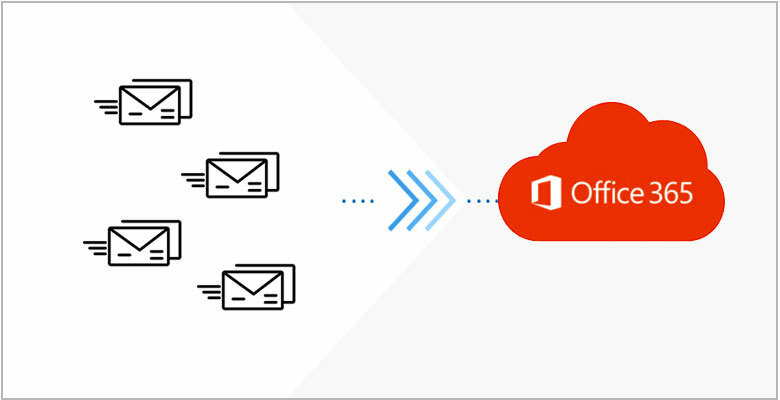 We begin every Office 365 engagement by performing a rigorous business, technical and economic analysis to determine the best approach for a smooth migration. We are a Microsoft Tier 1 Cloud Service Provider offering professional, managed and support services for Office 365 and Azure. We are part of the Microsoft Managed Partner Program - an elite group that represents the top 2% of Microsoft partners. We also hold five Silver & Gold Competencies including Datacenter and Cloud Platform. These competencies enable us to deliver the most robust cloud and hybrid solutions for customers of all sizes, as well as have access to all of Microsoft’s tools, processes and support.